The University of Maryland School of Medicine (UM SOM) this week announced they have begun a clinical trial in health care workers in West Africa to evaluate a promising experimental Ebola vaccine. The vaccine was developed by investigators at the Vaccine Research Center (VRC) of the National Institute of Allergy and Infectious Diseases (NIAID) in Bethesda, MD. The trial began on Wednesday, October 8 with the vaccination of the first subject, followed by two additional participants today (October 9), all three being Malian health care workers. In the coming weeks 37 more health care workers will receive the vaccine. UM SOM is collaborating with The Center for Vaccine Development of Mali (CVD-Mali) and the Ministry of Health of Mali for the trial. The vaccine consists of an adenovirus that does not cause illness in humans and has been modified so that it cannot even multiply in humans but produces a single attachment protein of Ebola virus. Immune responses directed against this single Ebola protein have been shown to be highly protective in animal model challenge studies (carried out under the highest level of physical containment). Researchers hope this response will be robust enough to protect humans, as well, from the disease. The clinical trial in Mali brings to fruition two months of work by a consortium dedicated to move the candidate Ebola vaccine into human clinical studies in West Africa. The consortium, assembled in mid-August at the behest of the World Health Organization (WHO), included, besides WHO, the VRC (which developed the vaccine), the Jenner Institute at the University of Oxford (which carried out clinical trials in UK adults paving the way for the African trial), the CVD-UM SOM and CVD-Mali (carrying out the first clinical trial of the vaccine in West Africa), GlaxoSmithKline (GSK) Biologicals (manufacturer of the vaccine) and the Wellcome Trust, UK (funder of the clinical trials in UK and Mali), with additional funding provided by the Medical Research Council (MRC), UK and the UK Department for International Development (DFID). In addition, the MRC Unit-The Gambia is expected soon to initiate a second, parallel clinical trial in The Gambia, West Africa. Ordinarily it would take between six to 11 months to obtain all necessary ethical, regulatory agency, technical and administrative approvals needed to transition a vaccine from research in animal models to a clinical trial in a developing country where subjects are at risk of the natural disease. In this instance, with all consortium members working in unison, it took two months. “Malian health care workers are showing keen interest in participating in the clinical trial to help evaluate this vaccine,” said Dr. Milagritos Tapia, a key clinical investigator overseeing the trial in Mali. 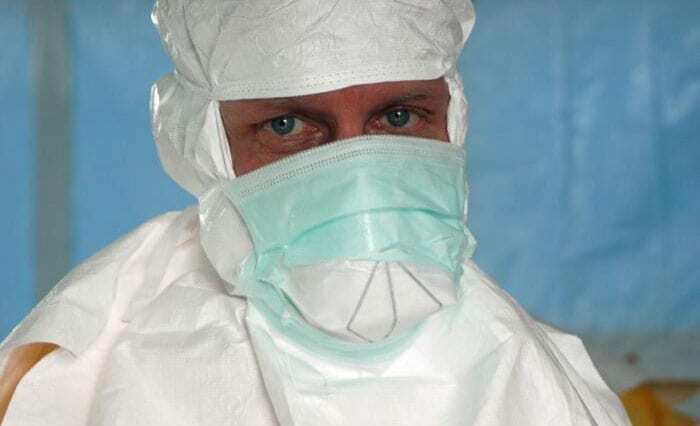 “Ebola is among the most urgent international public health issues we are facing. This research will play a key role in helping to solve it,” said Dean E. Albert Reece, MD, PhD, MBA, as well as vice president of medical affairs, the University of Maryland and the John Z. and Akiko Bowers Distinguished Professor. Pre-clinical research in primates by the VRC and Okairos, a biotechnology company acquired last year by GSK, indicate that the vaccine provides protection in non-human primates exposed to Ebola without significant side effects. The recent increase in funding for Ebola vaccine research is also enabling GSK to begin manufacturing at least 10,000 additional doses of the vaccine, even as the first clinical trials are occurring.